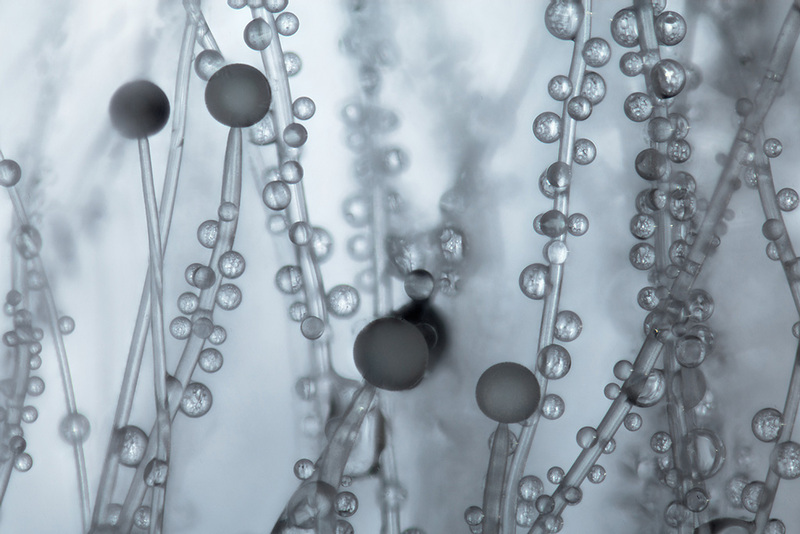 Image of black bread mold hyphae showing spores and micro droplet lensing. Link shows timelapse of spore germination. Timelapse, frame taken every 2 minutes. Compressed to 24 frames per second. Wow, that's a very nice timelapse!